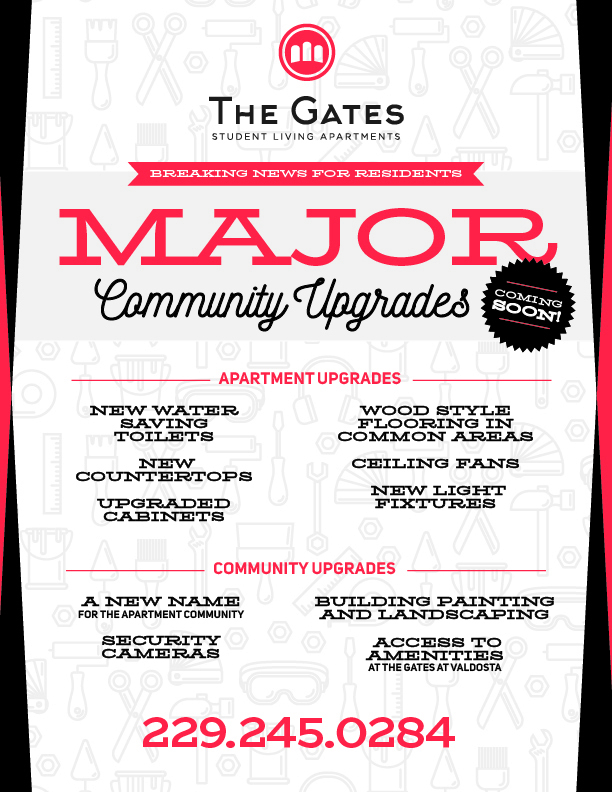 The Gates at Valdosta is a fully-furnished community, saving you money! Each student will have a full-sized bed, end table, large desk and chair, dresser, full–size walk in closet, and private bathroom. The living area comes with a comfortable couch and TV stand. The kitchen comes fully equipped with energy efficient appliances, a refrigerator with icemaker, dishwasher, and washer & dryer.